Are you ready to stop feeling overwhelmed by the clutter in your home? Or are you ready to finally start organizing in a sustainable way that will feel more natural and is less work than traditional organization methods? if you’re raising your hand, keep reading! The idea of home as a sacred space has long held true across many generations and many cultures. This sacred space can be a place for wonderful memories, blossoming relationships, and the many milestones of your family’s lives. 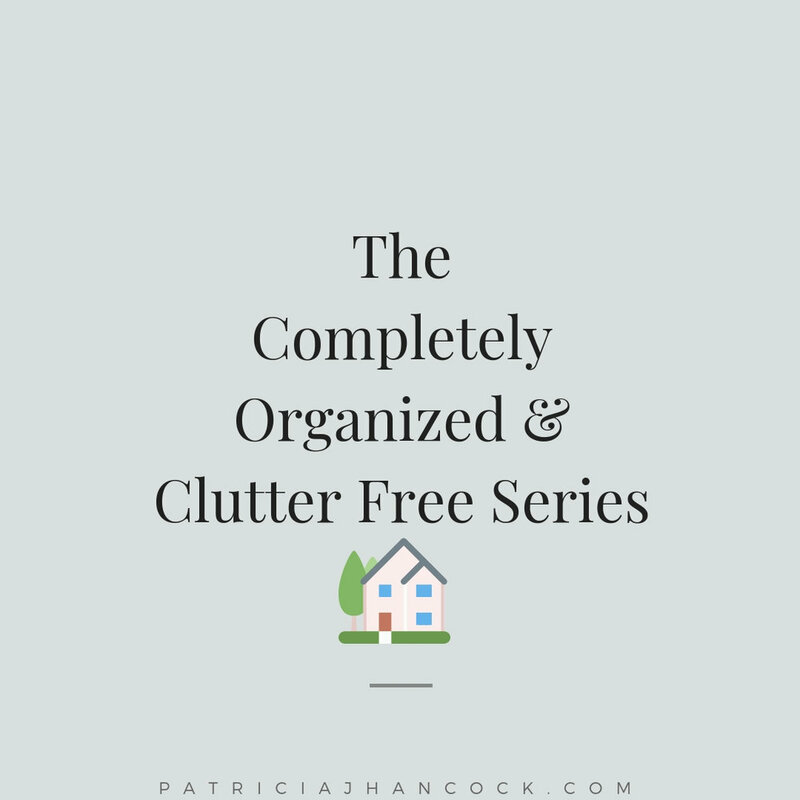 Each room in this series is designed to help you find what works best for you when you’re organizing and making your way towards becoming clutter free. A free checklist is provided with each room and is your’s to use for your project. This series can be used as a whole day project to get your house back to balanced or it can be used to bit by bit to tackle the clutter within your schedule. Within each post, you’ll learn not only how to start decluttering, but each room has the most effective strategies to stay organized even after you’ve decluttered. & how to stay clutter free for more than one day? For more in-depth help on conquering clutter and staying organized, check out the Completely Organized & Clutter Free Companion Guide. This guide is packed with in-depth information and tools to help you not only reclaim your home, but also start healthy routines to maintain that clutter-free balance. I’ve combined all of the worksheets into one workbook for those who are ready to be done with clutter for good! Be sure to check out the individual posts below for in-depth help & insights into the most effective ways. Grab the entire series below by entering in your info below! SEND AND SHARE THIS PAGE FOR YOUR FRIENDS & FAMILY WHO WOULD BENEFIT FROM THe completely organized & clutter free series!